Well it didn’t snow this year but last year we got 12 inches of snow in winter around Christmas. 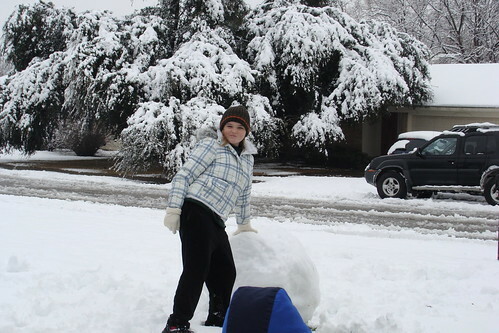 That was a really fun time because we got to make snow angels a snowman and have snow ball fights. 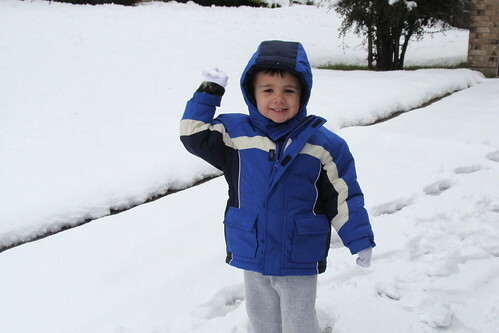 That was the first time I got to make a snowman and the funny thing was, we used dog food for a mouth, eyes and nose. 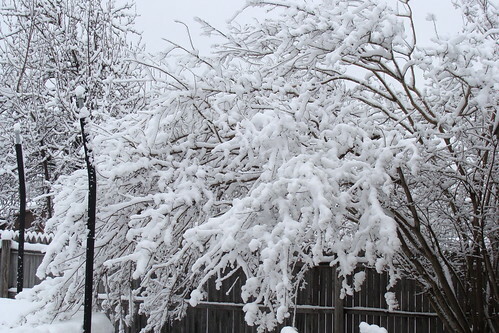 What the snow did to the tree in our back yard. Me putting on the eyes, mouth, and nose of the snowman with dog food. 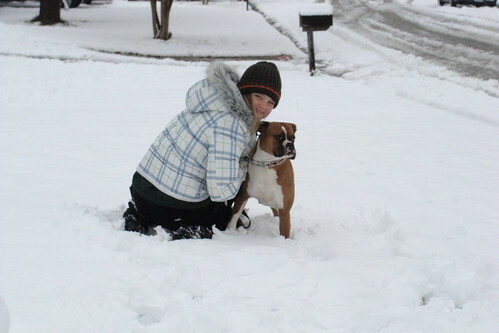 Me with Nicki in the snow. 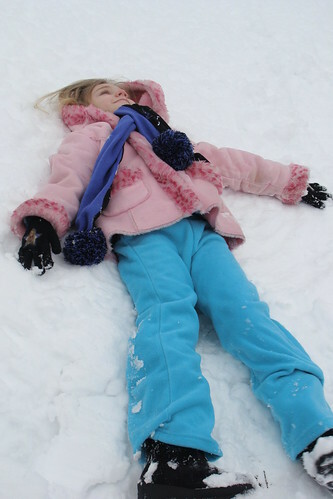 Gabby making a snow angel. 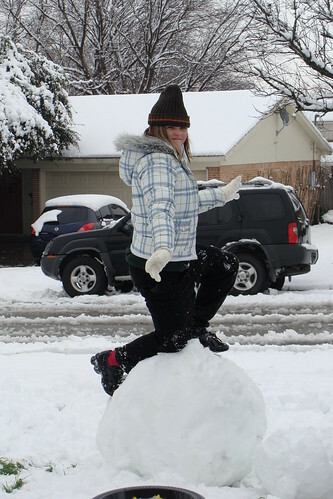 Me on top of the bottom of the snowman after it fell over 🙁 so sad. All in all it was a really good and cold day that I wish would have never ended. I remember your Mom telling me about the snow last year! Was pretty exciting by the looks of things. I certainly would prefer one snow day a year … living in NH kinda stinks. We are covered in snow and since I do not like the cold so much (it was -.4 last night for example) I stay home inside where it is WARM.